Kenya released rhino & elephant poaching statistics for 2017! Kenya's Ministry of Tourism (and Wildlife?) has released the rhino and elephant poaching numbers for 2017. According to Najib Balala, Cabinet Secretary for Tourism & Wildlife, the country lost nine rhinos and 60 elephants to poachers in 2017. In 2016, Kenya lost 14 rhinos and 96 elephants to illegal poaching activities. Cape Town: Cape Town International Airport to cut passenger boarding calls for domestic & international departures! Airports Company South Africa (Acsa), the state-owned airport management company that operates South Africa's nine major airports, has announced that Cape Town International Airport (CPT) in Cape Town will stop making passenger boarding calls in the domestic and international departures check-in areas and boarding gates area from 01 March 2018. Limited boarding calls will be made in front of international departures boarding gates. Singapore Airlines to temporarily introduce additional weekly flights between Singapore <> Johannesburg! The flag carrier airline of Singapore, Singapore Airlines, is set to temporarily introduce additional flights between Changi Airport (SIN) in Singapore and OR Tambo International Airport (JNB) in Johannesburg during the Northern summer peak season. The airline will operate at total of 10 scheduled weekly flights instead of the current 7 weekly flights from 01 July to 31 August 2018. Namibia: New rhino poaching figures! 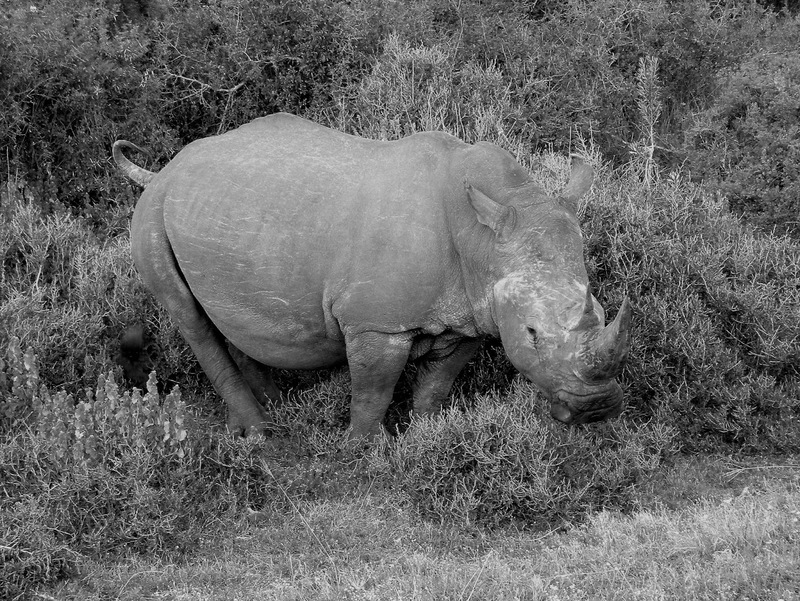 According to the latest poaching statistics by Namibia's Ministry of Environment and Tourism (MET), Namibia has recorded only three cases of rhino poaching this year so far. 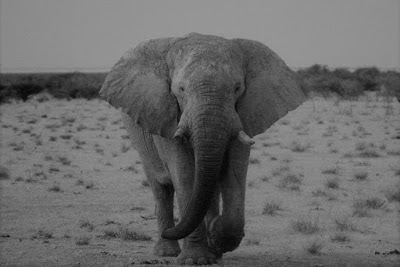 By October 2017, 27 rhinos were poached in Namibia compared to 60 in 2016 and 95 in 2015 – while 20 elephants were poached since January 2017 compared to 101 in 2016 and 49 in 2015.Namibia's Minister of Environment and Tourism, Pohamba Shifeta, said in a statement last week that the aim for 2018 is to reduce poaching cases in the country by more than 50 percent. Ethiopian Airlines to introduce flights between Addis Ababa <> Nosy Be (Madagascar)! Ethiopia's flag carrier, Ethiopian Airlines, will start a thrice weekly service on Tuesdays, Thursdays and Saturdays between Bole International Airport (ADD) in Addis Ababa and Fascene Airport (NOS) on Nosy Be, Madagascar on 27 March 2018. The service to from Addis Ababa to Nosy Be will be via Prince Said Ibrahim International Airport (HAH) in Moroni, Comoros, while the return flight will be non-stop to Ethiopia's capital. Nosy Be, the airline's second gateway in Madagascar after Antananarivo, is the largest and busiest tourist resort of the island nation. The new route will be operated with a Boeing 737-800. The South African Reserve Bank (SARB) will launch a set of commemorative South African banknotes in honour of what would have been Nelson Mandela's 100th birthday. These notes will cover all denominations – R10, R20, R50, R100 and R200. At the same time, the South African Mint, a subsidiary of the SARB, will issue a new R5 circulation coin celebrating Madiba's birth centenary. It is expected that the commemorative banknotes and coin will be introduced into circulation in South Africa from 18 13 July 2018. 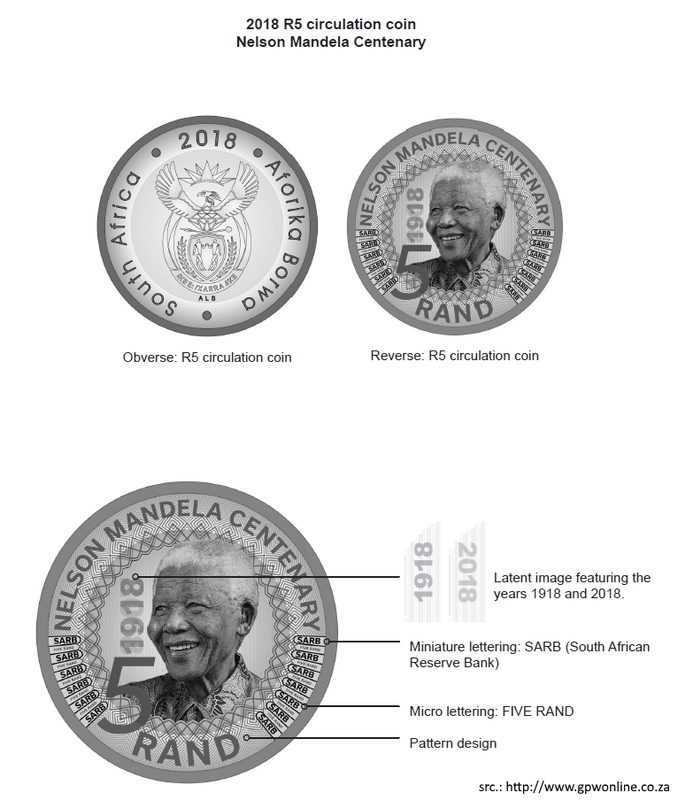 The existing Mandela series of banknotes (from 2012) as well as the existing R5 coin in circulation will remain legal tender and will continue to be issued. This means that the new commemorative banknotes and coin will circulate alongside the existing banknotes and coin. The R50 banknote depicts the site where Madiba was captured near Howick following 17 months in hiding. This moment set in motion events that would change his life forever. Madiba's time on Robben Island is depicted on the R100 banknote, where he was incarcerated for 18 of his 27 years in prison. Congo Airways to launch flights between Kinshasa <> Johannesburg! The flag carrier of the Democratic Republic of Congo, Congo Airways, is set to launch flights between N'djili Airport (FIH) in Kinshasa and OR Tambo International Airport (JNB) in Johannesburg. Effective 28 February 2018, the airline will operate three weekly flights using an Airbus A320-200, with 10 seats in business class and 150 in economy. The new service to Johannesburg marks Congo Airways' international debut! South Africa: CemAir's "AMO" suspension has been lifted! South African private airline CemAir has confirmed that the South African Civil Aviation Authority (SACAA) has lifted, with immediate effect, the suspension of the airline's Aircraft Maintenance Organisation (AMO) approval. SACAA has also lifted the grounding of CemAir's Dash-8 Q400 aircraft. The interim schedule of operations is published on the CemAir's website. Ticket-holders should contact CemAir central reservations department for further information! Open Streets: Cape Town's Main Road closed for motorised vehicles on 25 February 2018! Three kilometres of Cape Town's M4 through Observatory, Salt River, Woodstock and District Six (Main, Victoria and Sir Lowry Roads) will become a car-free corridor for residents and visitors to enjoy as shared public space on 25 February 2018. Closed to motorised vehicles between 08:00 - 14:00, the roads will become an open space for pedestrians, cyclists, skateboarders, wheelchair users and other non-motorised transport users to move in safety. The theme for Open Street Cape Town's second "Open Street Main Road" is "Coming together to create solidarity around the water crisis". It will be an opportunity for citizens (and, of course, visitors) to engage in constructive conversation and action about how we can all work together to reduce our water consumption. Among other water-related activities, WWF South Africa will host a "Water Wise Hub", the Cape Town Science Centre will host a "Hack the Water Crisis" event, ActionArte Foundation SA will be putting on a circus/theatre performance around the theme of water, and Miss Earth South Africa and Explore4Knowledge will co-host the "WATER Cape Town" awareness campaign. The City of Cape Town will also have water-saving information available at the Open Streets information booth for everyone taking part. "Open Street Main Road" is organised by Open Streets Cape Town, a local non-profit organisation, in partnership with the City of Cape Town's Transport and Urban Development Authority, with the financial support of the WWF Nedbank Green Trust, Millennium Trust and Woolworths, as well as the help of many volunteers, residents and friends of the NPO. Namibia: Namibia Wildlife Resorts to slash rates by 75% in March 2018! 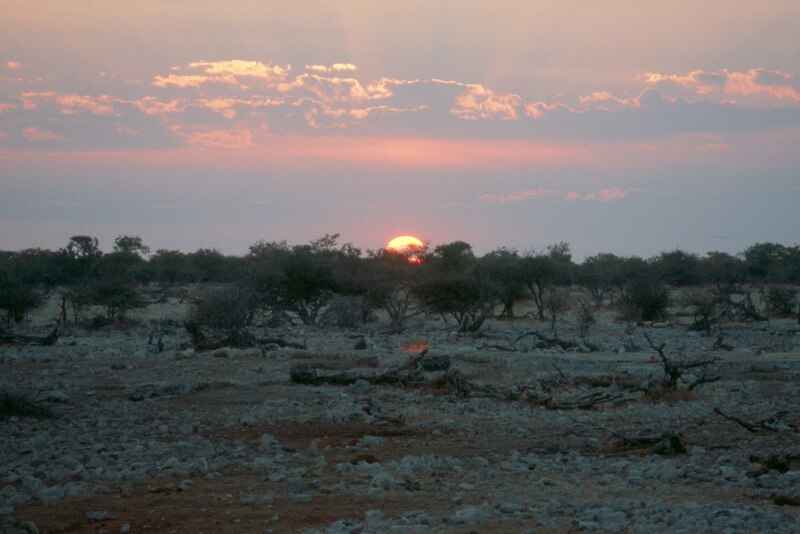 Namibia Wildlife Resorts (NWR), the state-owned enterprise mandated to run the tourism facilities within the protected areas of Namibia, just announced that it will once again be running its 75% discount during March (01 - 31 March 2018), as Namibia celebrates its 28th anniversary. 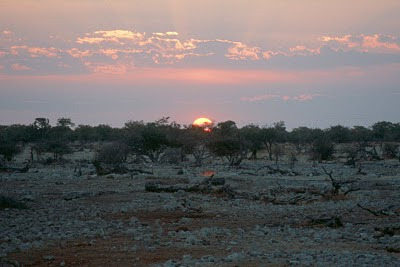 The discount will be running at all its facilities spread across Namibia excluding campsites and its Terrace Bay Resort. The uMkhuze section in South Africa's first UNESCO World Heritage Site, the iSimangaliso Wetland Park in KwaZulu Natal, has received over 273 mm of rain in the past 5 days and is expecting more significant rain in the coming days. Due to the unprecedented rainfall, some of the Park access and visitor roads got damaged and have therefor been temporarily closed until the damage has been assessed or repaired. Loop Road and the road to the Lebombo Tower area have been badly eroded. Only vehicles with high road clearance i.e. bakkies and bigger SUVs will be allowed until the road has been graded. Namibia: Air Namibia postponed the launch of Windhoek-Lagos-Accra flights! Namibia's flag carrier, Air Namibia, has postponed the launch of scheduled flights to Murtala Muhammed International Airport (LOS) in Lagos, Nigeria, and to Kotoka International Airport (ACC) in Accra, Ghana, from 25 March 2018 to 29 June 2018. According to a statement by the airline, the postponement is due to external factors such as the non-availability of a departure slot at Kotoka International Airport (ACC) to support the initial scheduled departure at 22:05. Cape Town: "Day Zero" has been pushed back to 09 July 2018! According to a new statement by the City of Cape Town, "Day Zero" has now moved from 04 June 2018 to 09 July 2018 due to a weekly drop in dam levels of only 0.5% (as compared to a 1.9% drop in 2014). This week's reduced water consumption as well as the Groenland water donation to the Steenbras Upper Dam has helped pushing back the date. On "Day Zero" taps in homes and businesses in Cape Town will be turned off until the rains come. The city's (at least) four million residents will have to line up for water rations at 200 collection points. Air Botswana temporarily suspends direct flights between Gaborone <> Cape Town! update (24 April 2018): Air Botswana is currently in talks with the government of Botswana to negotiate funds for the acquisition of a new aircraft to service the Gaborone <> Cape Town direct route. The service might resume within the next three month. Air Botswana's lease agreement with CemAir has expired and will not get renewed! update (21 February 2018): etnw.co.za reports today that passengers with bookings between February 27 and May 31 will, however, be able to request full refunds! Botswana's flag carrier, Air Botswana, has temporarily suspended its direct service between Sir Seretse Khama International Airport (GBE) in Gaborone and Cape Town International Airport (CPT) in Cape Town. The route is being operated through a lease agreemnet with CemAir, which is grounded since 02 February 2018 due to regulatory compliance concerns. As a temporary measure, travellers booked on Air Botswana flights between Gaborone and Cape Town are now beeing rerouted via OR Tambo International Airport (JNB) in Johannesburg at no extra cost, until a definite solution has been implemented. We'll keep you posted! 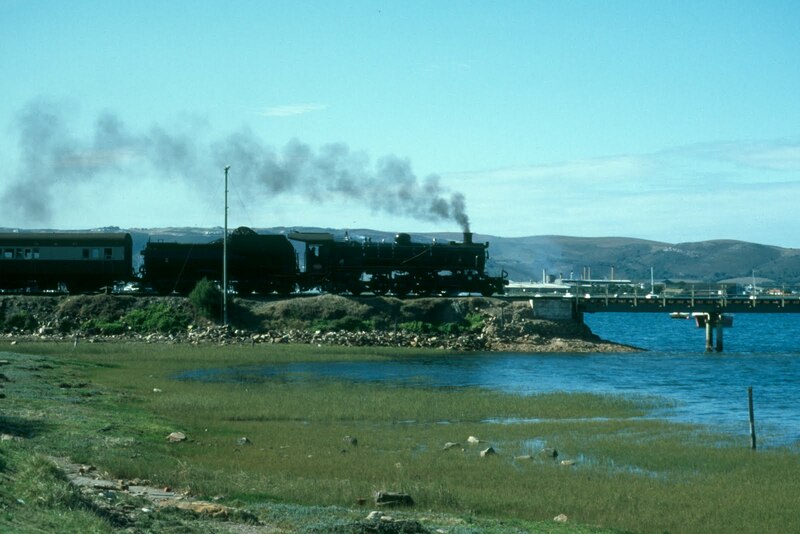 Garden Route: The project to revive the Outeniqua Choo Tjoe steam train is on track! 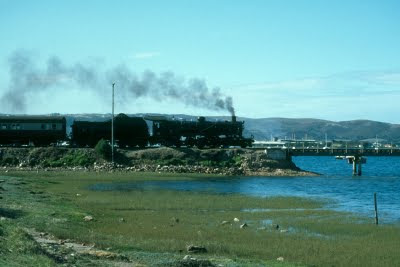 Classic Rail, the private consortium that's working to restore train services on the historic Knysna <> George railway line, has released a first status update since August/September 2016. According to the update, which was released earlier today (19 February 2018), the project to revive the Outeniqua Choo Tjoe steam train is on track. Transnet Freight Rail accepted Classic Rail's revised business plan during January 2018, and they are now attending to the matter as quickly as they can. We'll keep you posted! South Africa: CemAir has resumed selected domestic flights in South Africa! CemAir had to suspend all of its domestic flights in South Africa on 03 February 2018 due to a documentation issue identified by the South African Civil Aviation Authority (SACAA) in the annual audit of the CemAir AMO (Aircraft Maintenance Organization). Zimbabwe revises visa regime to boost tourism! *Yugoslavia does not exist anymore. 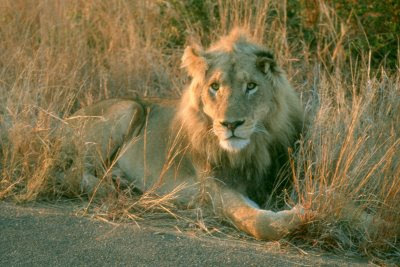 The Government of Zimbabwe has introduced a revised visa regime with immediate effect as part of its efforts to improve travel facilitation and unlock the potential of the tourism industry in Zimbabwe. The new visa regime sees 29 countries being moved from Category C (visa before arrival in Zimbabwe) to Category B (visa on arrival in Zimbabwe). These countries include Ethiopia, India, Mexico, Panama and Romania, among others. 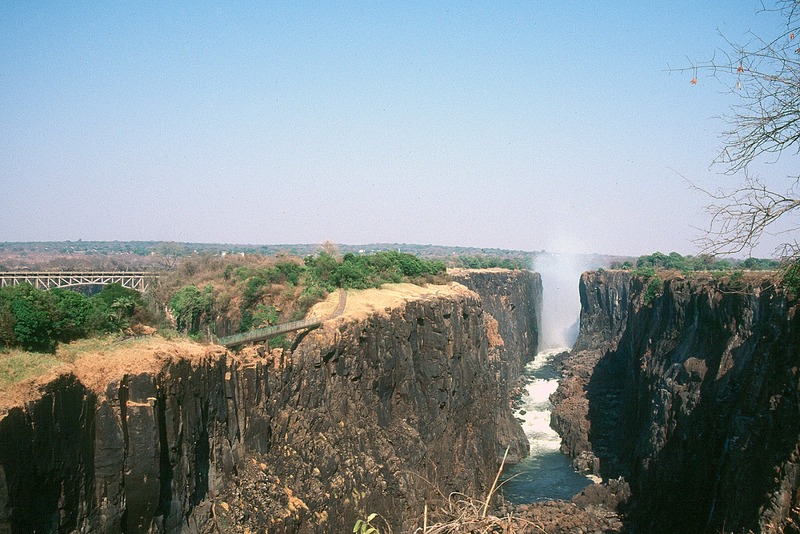 The Zimbabwe Tourism Authority will make a full list of the 29 countries available soon. We'll keep you posted! Cape Town: Cableway announces 2018 annual maintenance dates! Cape Town's Table Mountain Aerial Cableway will be closing for scheduled annual maintenance from 23 July 2018 to 05 August 2018. The cableway will reopen, weather permitting, on 06 August 2018. 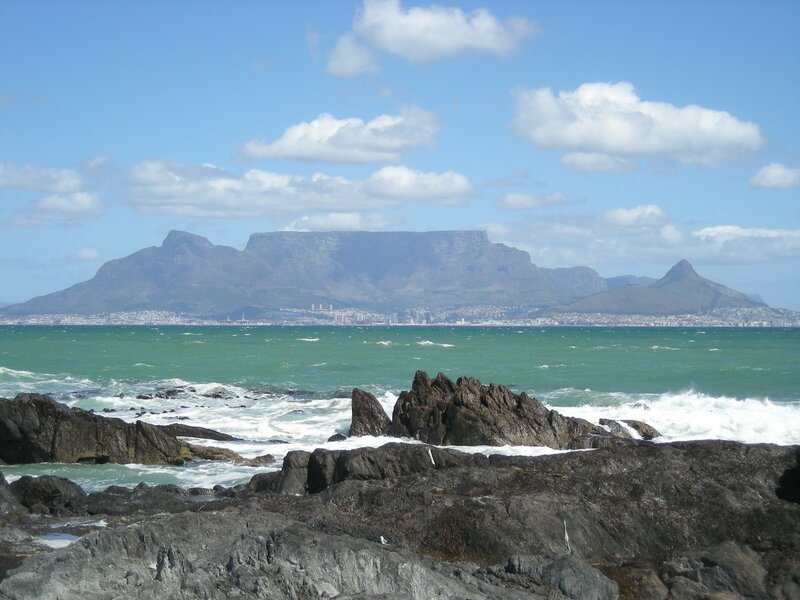 Each year, the Table Mountain Aerial Cableway shuts down operations for two weeks to refurbish facilities and to make some necessary changes to improve visitors' experience. The Table Mountain Aerial Cableway is one of Cape Town's most popular tourist attractions with approximately 800,000 people a year using it to visit the top of Table Mountain. The Cableway offers visitors a variety of experiences, including meals with a view at the Table Mountain Cafe, free WiFi at the WiFi Lounge and free thirty-minute guided walking tours. Alitalia cancels planned resumption of flights between Rome <> Nairobi! The flag carrier of Italy, Alitalia, has canceled the planned resumption of scheduled flights between Leonardo da Vinci International Airport (FCO) in Rome and Jomo Kenyatta International Airport (NBO) in Nairobi. The new service, which was planned to be introduced from 28 March 2018, is no longer available for reservations. Cape Town: "Day Zero" pushed out to the beginning of June 2018! According to a new statement by the City of Cape Town, "Day Zero" is expected to move out from to 11 May 2018 to 04 June 2018 due to a decline in agricultural usage, and also as a result of Capetonians reducing their water usage in cooperation with the City of Cape Town's efforts to bring down consumption. South Africa's most punctual domestic airlines in January 2018! Airports Company South Africa (ACSA) has published the on-time performance results of domestic airlines’ flying out of OR Tambo International Airport (JNB) in Johannesburg, Cape Town International Airport (CPT) in Cape Town and Durban's King Shaka International Airport (DUR) in January 2018. Cape Town: "Day Zero" pushed out to mid-May 2018!